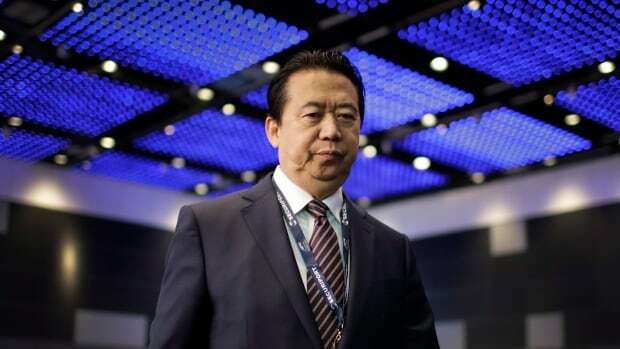 China will prosecute former Interpol chief Meng Hongwei for graft after an investigation found he spent “lavish” amounts of state funds, abused his power and refused to follow Communist Party decisions, the anti-corruption watchdog said on Wednesday. Last year, Interpol, the global police coordination organization based in France, said Meng had resigned as its president after French authorities said he had been reported missing by his wife after travelling to his home country. His wife, Grace Meng, told French television on Sunday that she had written to seek the help of French President Emmanuel Macron on the eve of a visit by his counterpart Xi Jinping, who has now returned to Beijing. In a short statement, the party’s Central Commission for Discipline Inspection said Meng Hongwei had “refused to enact decisions of the party centre” and abused his power for private gain. He also “wantonly and lavishly spent state funds to satisfy his family’s luxurious lifestyle,” it said. Meng used his position to help his wife get a job and illegally took a “huge amount of possessions” from other people in exchange for help with promotions and job moves and “company operations,” the statement said, without giving details. He is suspected of taking bribes and causing serious harm to the party’s image and state’s interests and should be severely dealt with, it added. Meng has been expelled from the party and his case been handed to legal authorities for prosecution, the statement said. It has not been possible to reach Meng for comment since he was detained, and unclear if he has been allowed a lawyer. Meng is certain to be found guilty when his case eventually comes to trial as the courts are controlled by the party and will not challenge its accusations. Meng, who was also a deputy Chinese public security minister, became president of the global police cooperation agency in late 2016 as China widened its bid to secure leadership posts in international organizations. Under Xi, China has pursued a sweeping crackdown on official corruption.